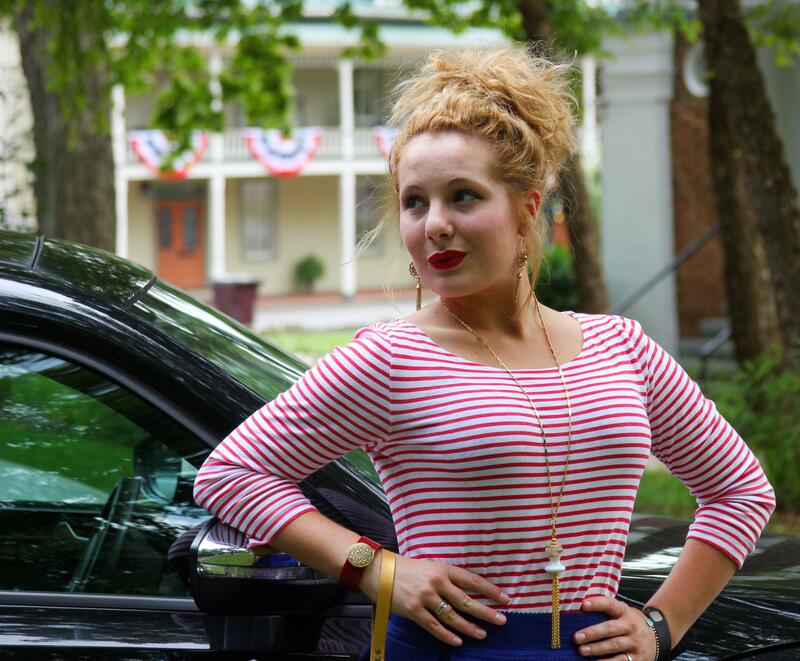 Independence Day is just around the corner, and I don’t know about y’all…but I am pretty excited *wink* I am ready to celebrate the red, white and blue fashionably, home decor-ly, and American-ly! Take a look at these photos of the beautiful and historic downtown Jonesborough to get you inspired. 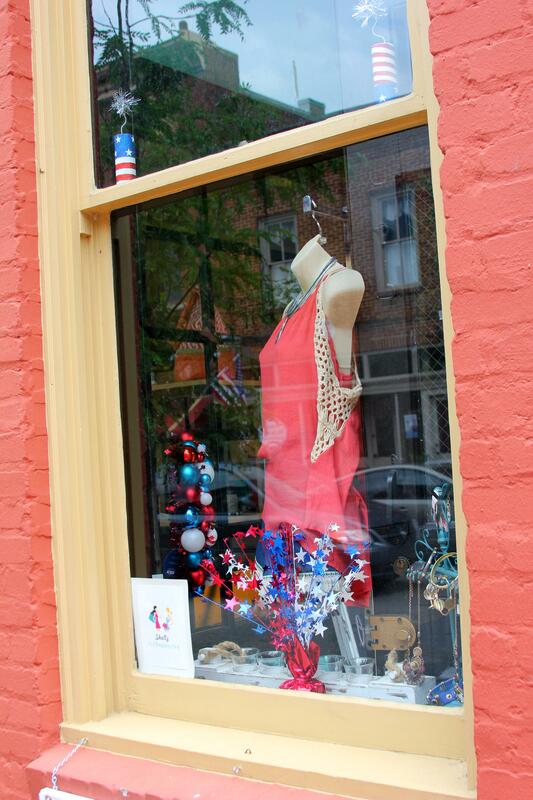 *Shellz window in downtown Jonesborough, Tennessee* Stars and stripes frock?! YES! Please! 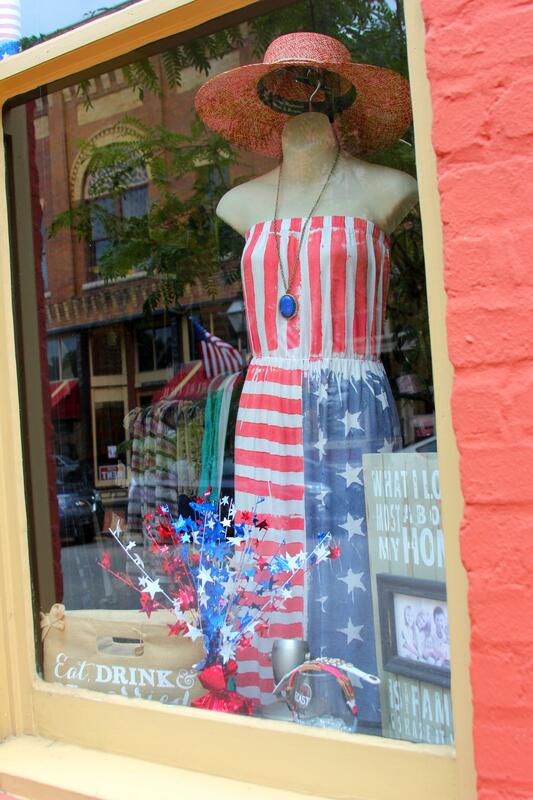 *Shellz store window in downtown Jonesborough, Tennessee* I don’t know about y’all, but I am totally crushing on this dress! 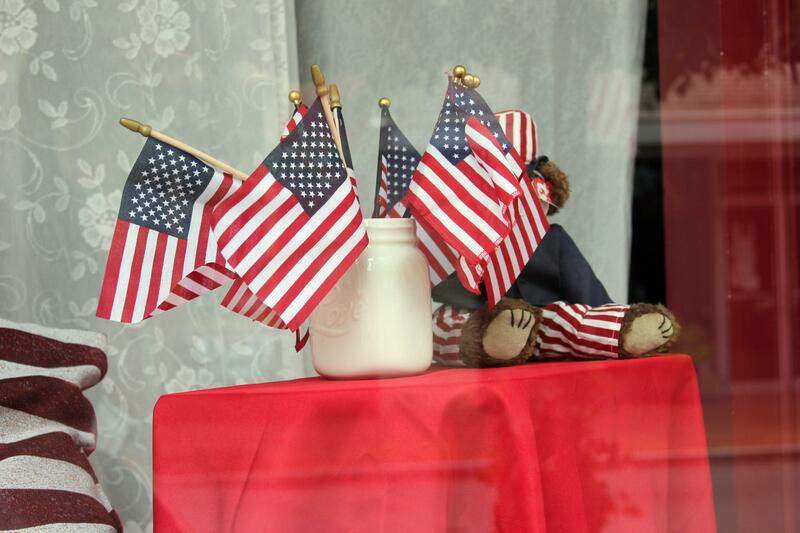 *Shellz store window in downtown Jonesborough, Tennessee* Oh, how cute! 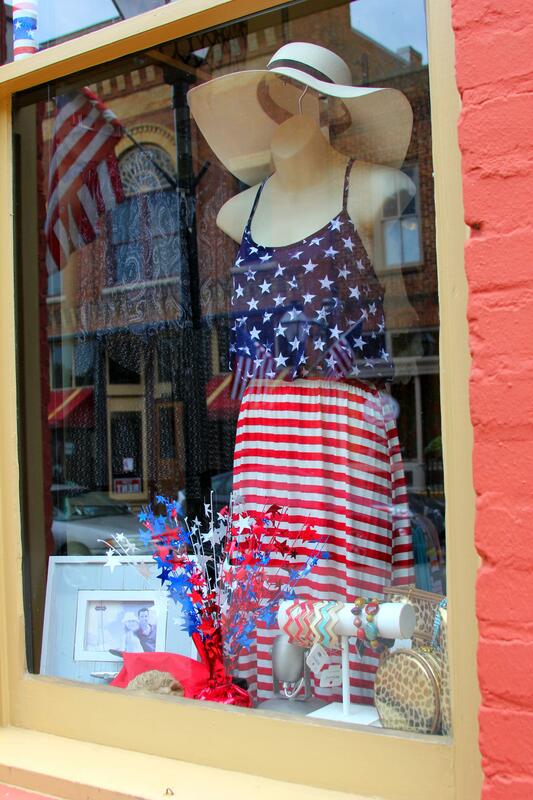 Who wouldn’t love to rock this ensemble to her 4th of July festivities?! 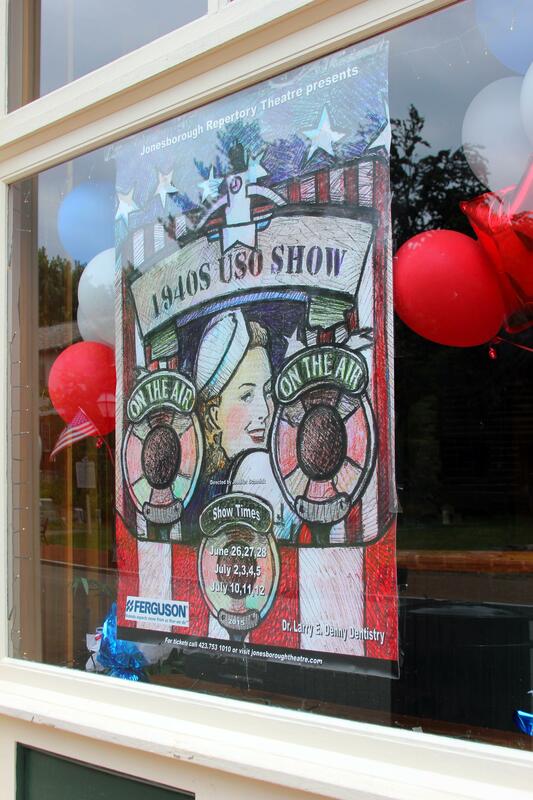 Jonesborough Repertory Theatre window with a poster of the up-and-coming performance–1940s USO Show. Click here for show dates + more details. Tiny flags in a white mason jar–an easy, last-minute party decoration! 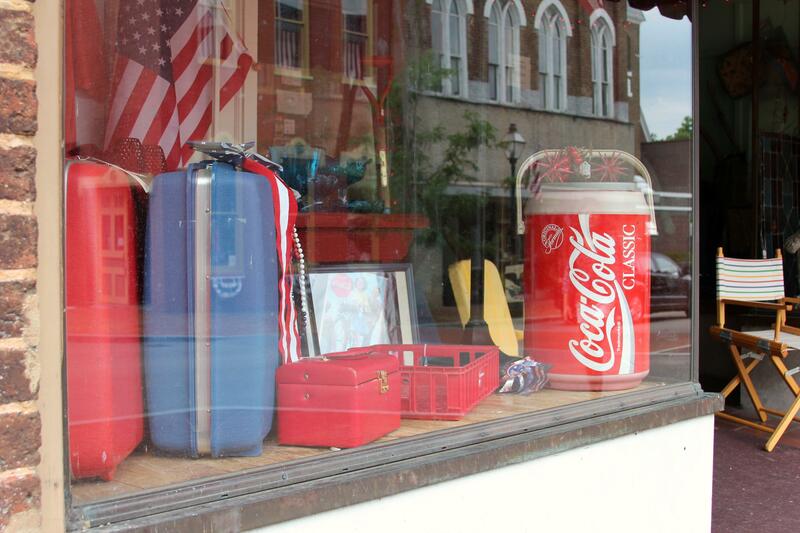 Antique store window. Love that Coca Cola cooler! 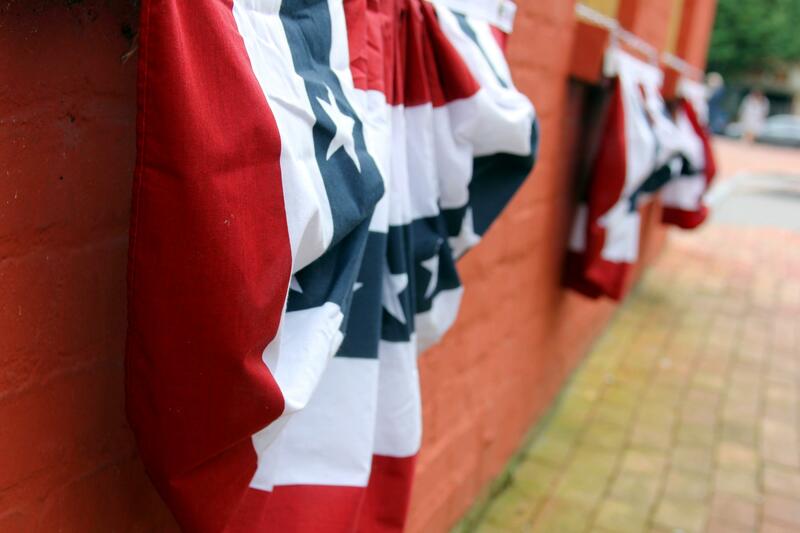 The Eureka Inn is ready for the Fourth! 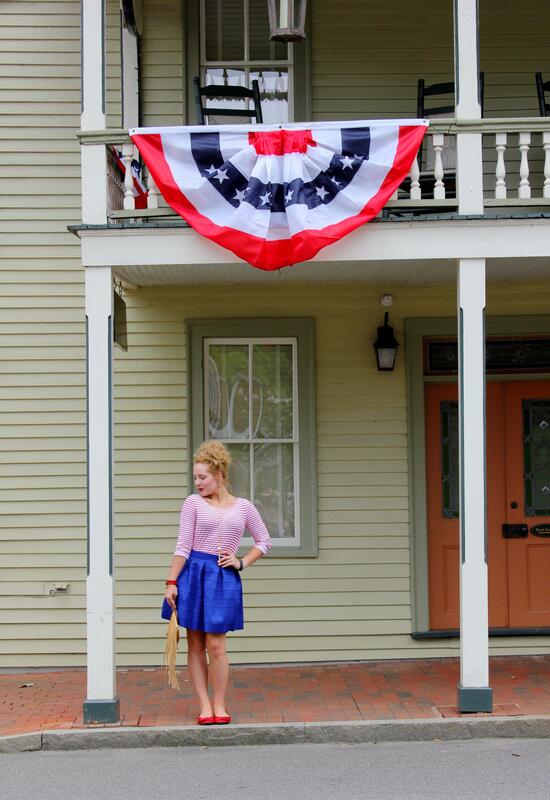 Jump for Patriotic Joy at Jonesborough Days! “July 3-5. 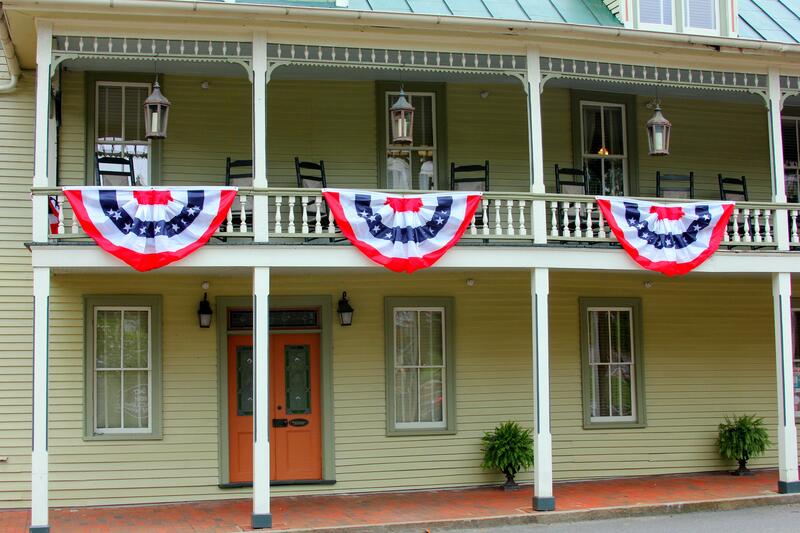 Take part in Historic Jonesborough’s story through its patriotic celebration featuring live music, storytelling, a parade, fireworks, children’s entertainment, craft vendors, games, food and much more.” For more information, please click here.